Zenzele Consignment celebrates 1 year of confident, revolutionary style! A fierce Zenzele customer rocks her confident revolutionary style. HUNTSVILLE, AL––Zenzele Consignment will host our One Year Anniversary Celebration and fundraising event on August 27, 2017. The event, which is free and open to the public, will be held at Zenzele Consignment at 6pm. This celebratory event will feature performances by local artists including the dynamic jazz and soul singer Alexandria Seward, a silent auction, live mannequins, food by Jenee Le Cuisines and a special presentation to our volunteers and donors. Located at 2205-F University Drive in Huntsville, Alabama, Zenzele Consignment opened our doors for the first time on August 13, 2016, marking a new day in the work to build the economic foundation for the important work of the All African People’s Development & Empowerment Project (AAPDEP). As an organization of the Uhuru Movement, AAPDEP has for ten years now led the question of African self-reliance and self-determination, organizing the highly-skilled sector of the African nation to contribute our energy, resources and skills directly to the African liberation movement by building dual power development programs in the areas of Agriculture, Education and Health. During the most recent Ebola crisis in West Africa, AAPDEP led an important Project, Black Ankh, which trained 50 community health workers on the identification and prevention of Ebola Virus Disease. We also provided food, water and sanitation supplies to more than 40 Ebola survivors and their families, and worked to educate local communities on the need to embrace Ebola survivors, many of whom faced difficulty reintegrating into their communities due to fear. For the last eight years, AAPDEP has organized community gardens and garden collectives in Africa and African communities in the U.S. with our most recent SOILdarity campaign, positioning us to purchase the land on which our Houston AAPDEP Gwendola Archie Community Garden (formerly known as Houston AAPDEP 5th Ward Community Garden) sits. This ownership will ensure our ability to continue to organize and contribute to the greater self-reliance of the African community of Houston 5th Ward. As an economic project and fundraiser for AAPDEP programs, Zenzele Consignment provides a vehicle through which the community can donate or consign new and gently-used clothing, shoes and accessories as well as art and other products, making it possible for local designers, artisans and everyday members of the community to generate resources for themselves while supporting AAPDEP programs at the same time. 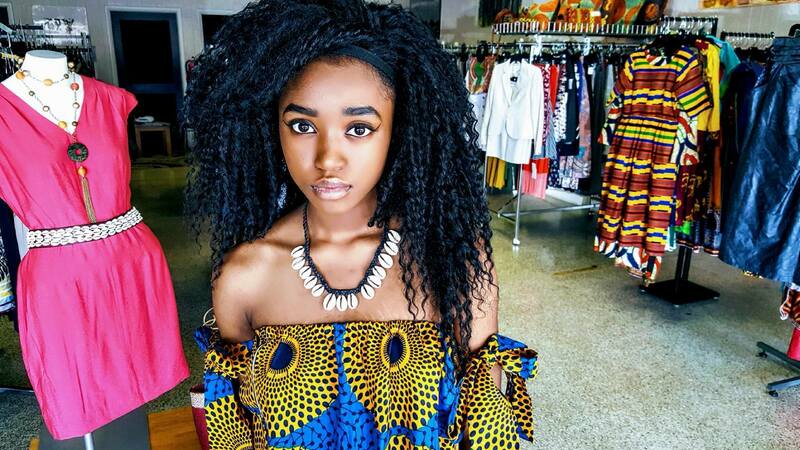 Over the last year Zenzele Consignment has become known as Huntsville’s “African Store” a place where the community can pick up unique African and African-inspired clothing and accessories. Customers can also find an everyday outfit for work or play all while connecting with AAPDEP’s local and international African development programs. We have hosted political, cultural and health forums, including presentations by Chairman Omali Yeshitela of the African People’s Socialist Party. We’ve also held events connecting the African nation and educating the community on gardening and health. We have participated in and organized fashion shows, style DIY workshops, African dance classes, Yoga and more, all in an effort to build Zenzele Consignment as a cultural and political hub for the African community. Over the next year, we will continue to build on the foundation to become a place where the African working class, African students and the wider Huntsville community can not only access quality clothing and creative styling at affordable prices, but where they can also connect to and support AAPDEP’s local and international programs, a place where they can be proud to shop, donate and volunteer––the people’s store.